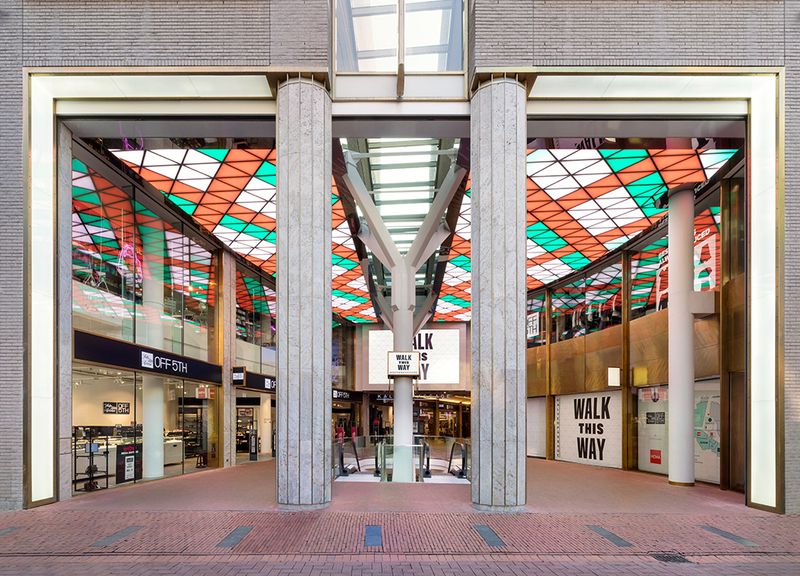 The Dutch artist Sigrid Calon developed especially for the new Kalverpassage (former Kalvertoren) the artwork “TRIANGULAR GRID”. 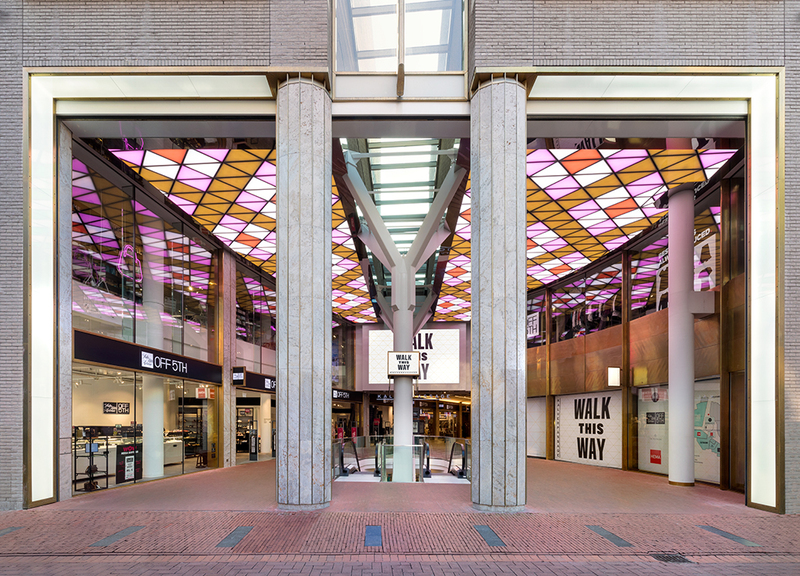 An imposing work of light art that is displayed on the LED-ceilings of the Kalverpassage and in the coming year will change every minute. 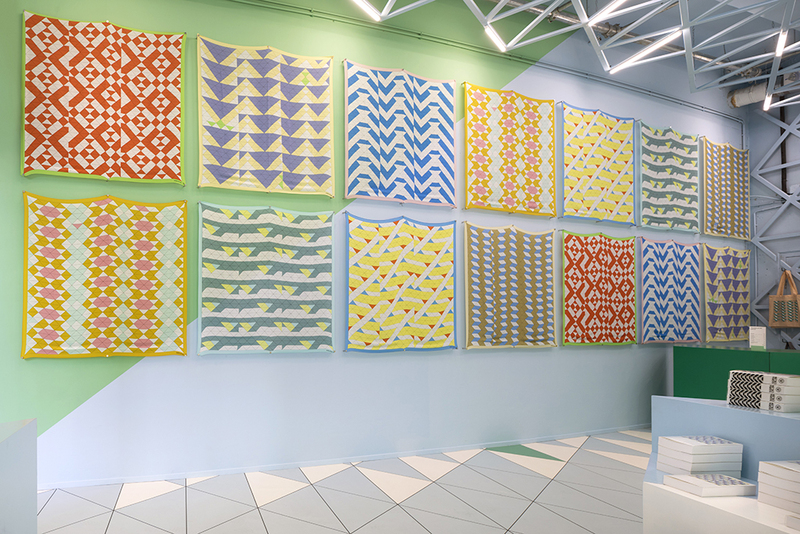 In honor of the official opening and the unveiling of the work of art, a temporary “Sigrid Calon Art Store” was also opened. 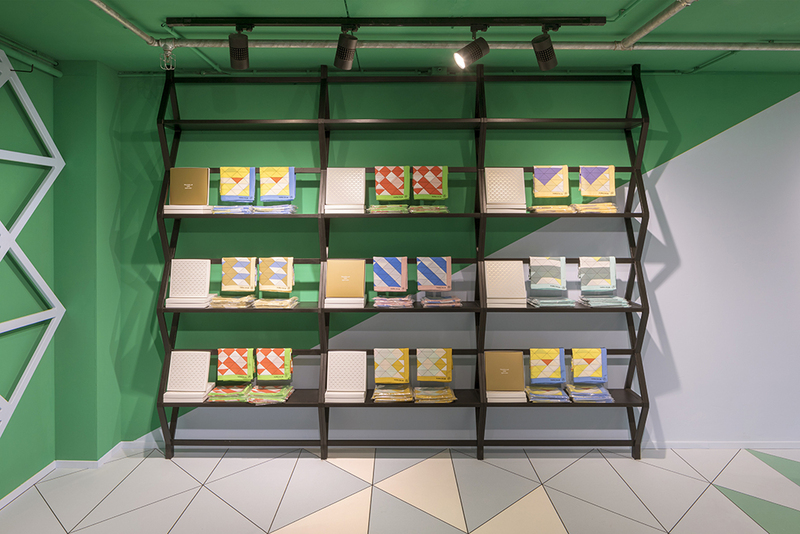 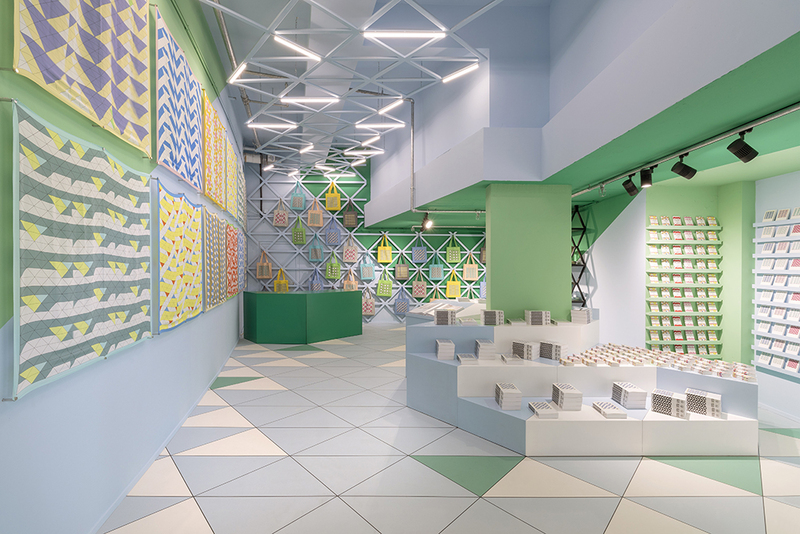 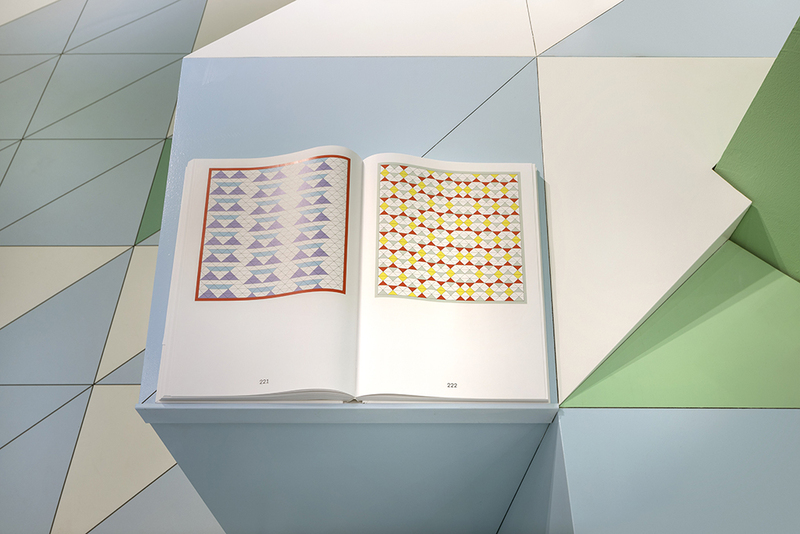 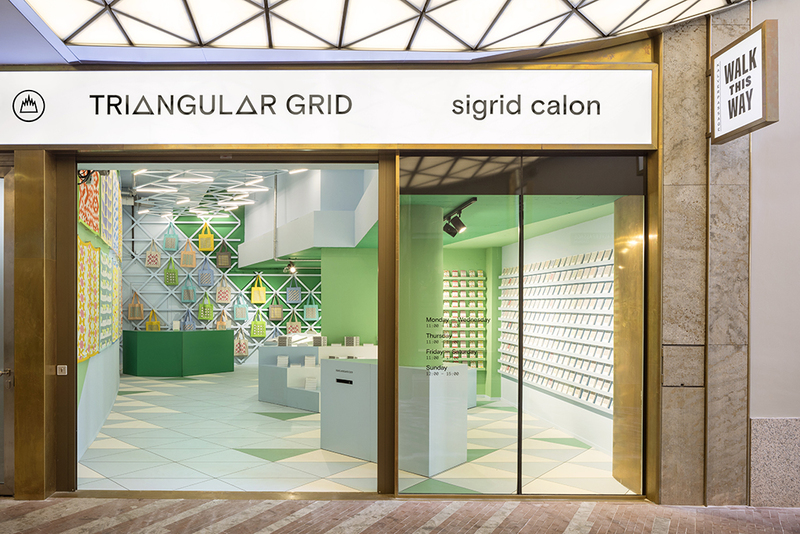 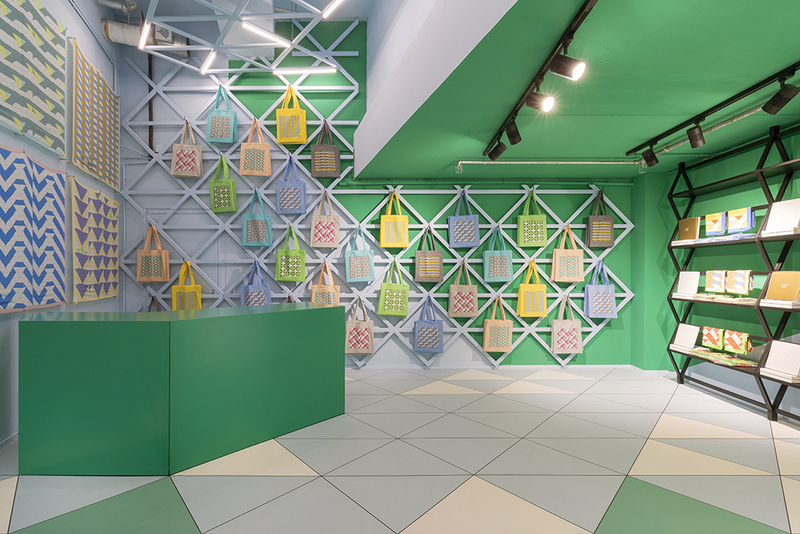 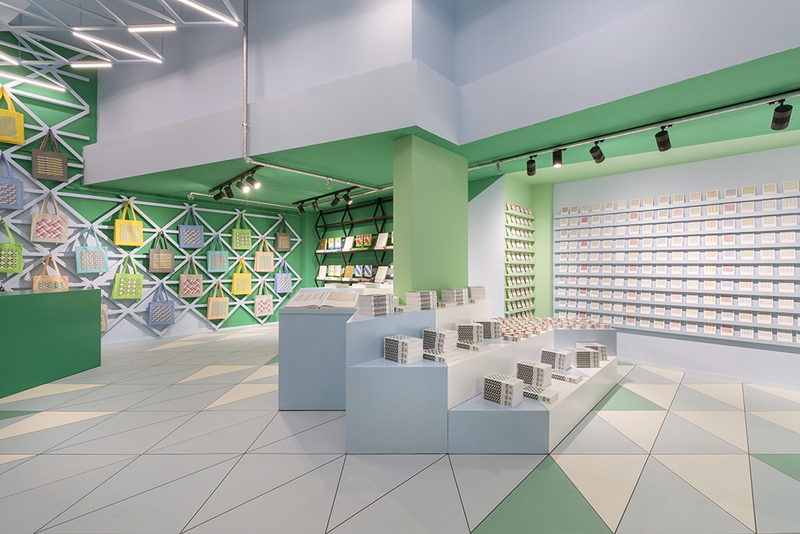 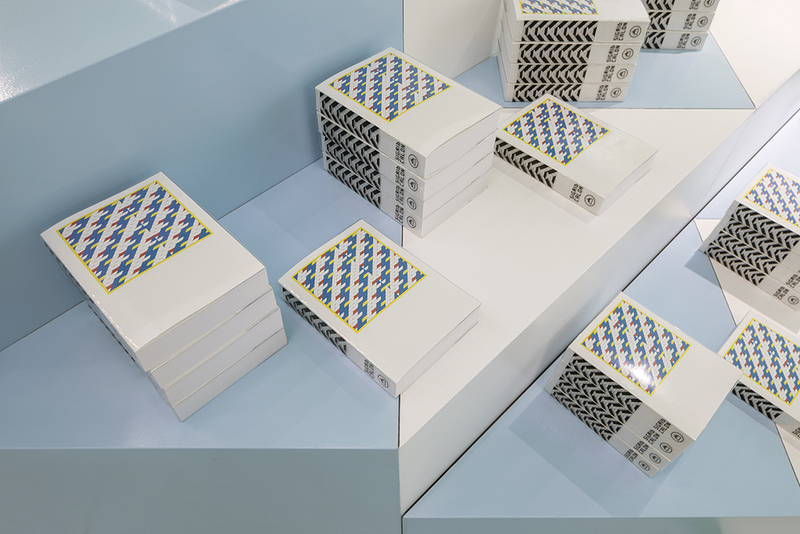 The Sigrid Calon pop-up store is open to the public from 21 April and it sells, among other things, the limited edition coffee table book, silk scarves and art cards, all in style of the artwork “TRIANGULAR GRID”. 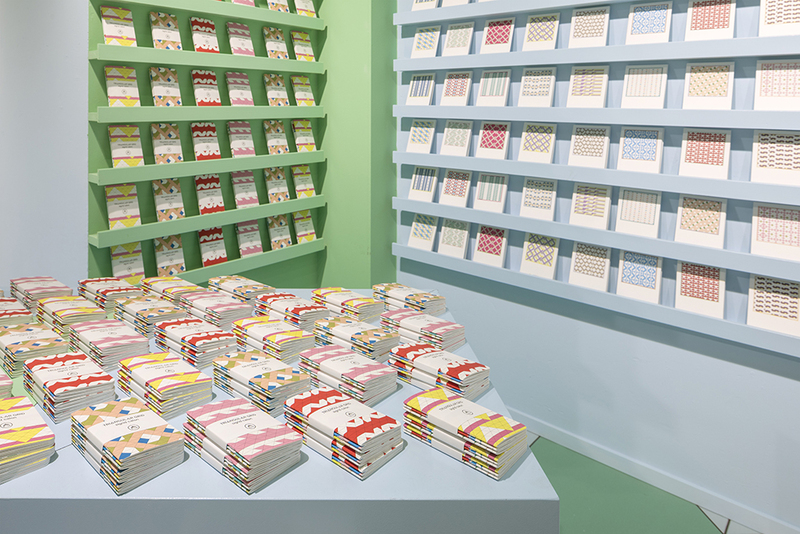 You can put the cards directly into the mailbox which is part of the shop design. 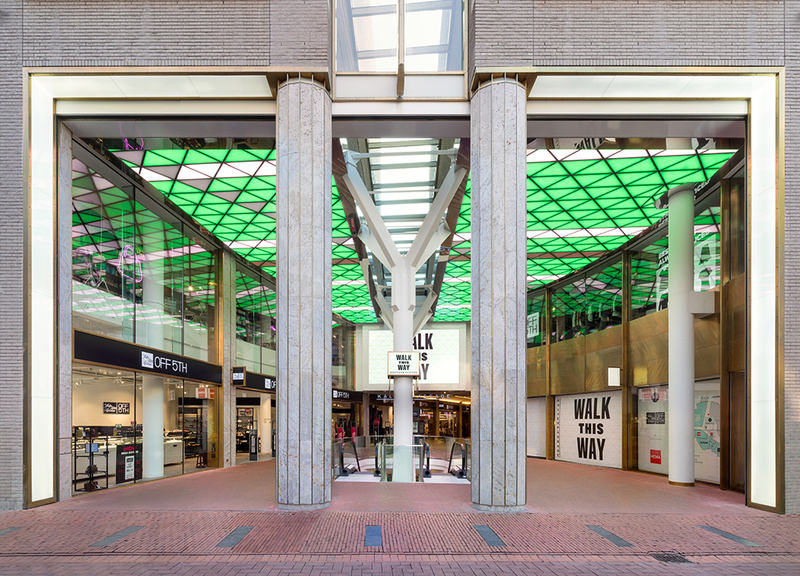 For ‘TRIANGULAR GRID’ (2018) Sigrid Calon has examined the limitations and possibilities of the LED ceiling of the Kalverpassage. 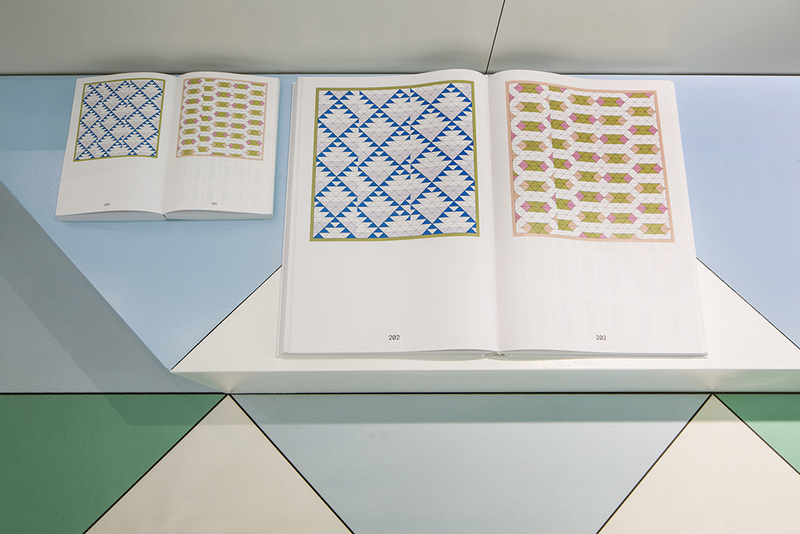 She developed a complex, almost mathematical formula that makes another grid pop up every minute. 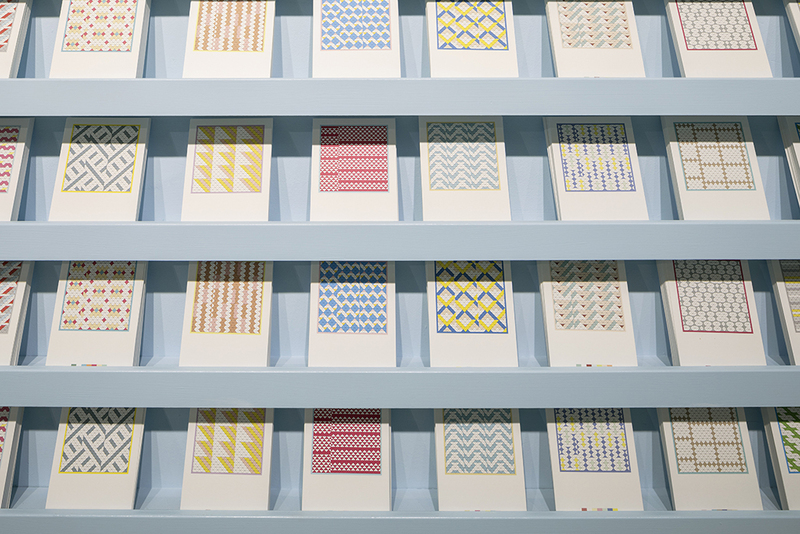 For this she has developed a color palette of 364 colors based on the 364 days of the year. 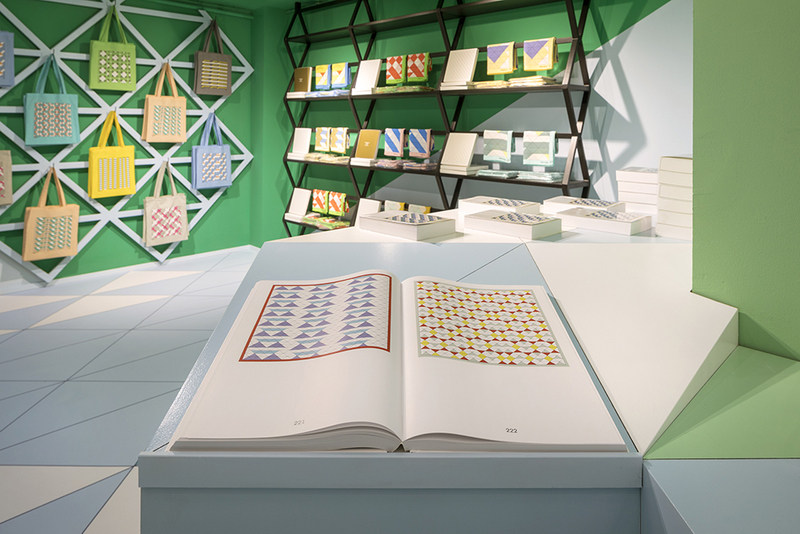 Within it she created a palette of 52 shades of white, one for every week.Each week consists of a palette of 7 colors including a white one, with maximally 4 colors appearing in the grid at the same time. 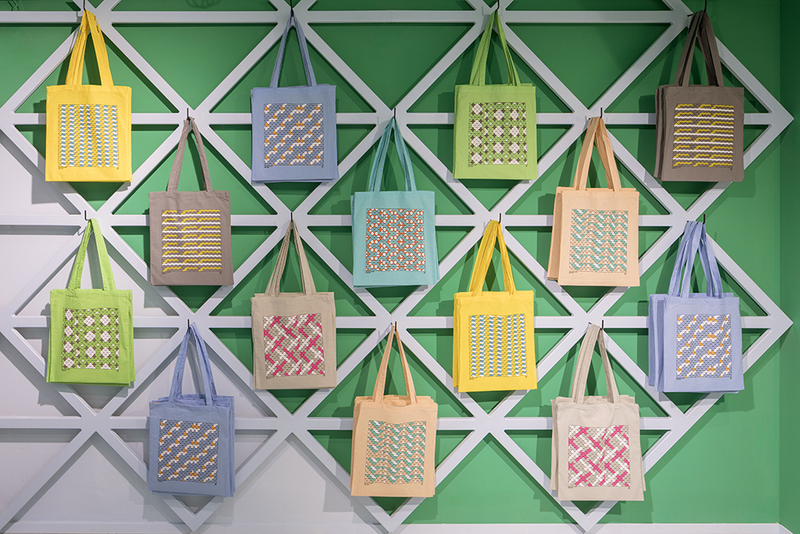 In addition, every day of the week has a basic shape and direction on the grid.